Three SamTrans bus lines that serve several Peninsula schools, libraries and community centers are on the chopping block. Kris Sanchez reports. 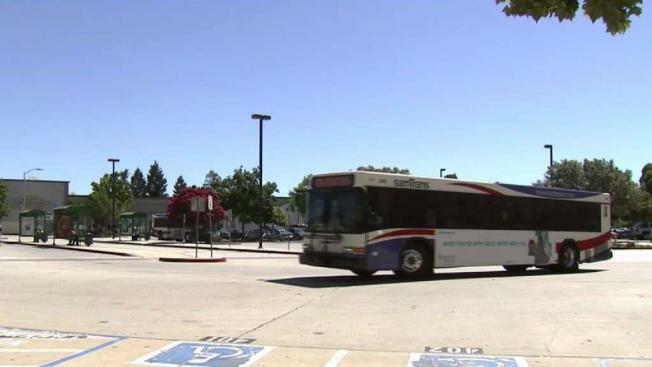 Three SamTrans bus lines that serve several Peninsula schools, libraries and community centers are on the chopping block. The San Mateo County Transit District’s Board of Directors are expected to meet on Thursday to decide the future of routes 11, 43 and 89. These three are the system’s lowest performers, with a total of four trips daily, each with about five riders. That’s much lower than the daily average of 19 commuters on other lines. There may not be a lot of people who rely on the SamTrans routes in question, but if they’re eliminated, students and parents would feel the biggest impact. Route 11 serves two schools in Daly City: Thomas Edison Elementary and Fernando Rivera Middle schools. Route 43 serves San Bruno City Hall Library, Capuchino High and Mills High schools, and the Milbrae Community Center. Route 89 serves Encinal Elementary School in Atherton. There are other SamTrans lines that serve the same areas but not the so-called community service routes that only run on school days and don’t connect to the rail. If the transit board approves the cuts, they go into effect in August.